Milk is recognized as a primary nutritional source that helps in the development of strong bones and teeth. In addition, milk has also been used in the preparation of various food items, such as ice cream, cheese, and butter, to name a few. We consider milk as very safe because this serves as the first source of nutrition for newborn babies. A recent medical report showed that the occurrence of skin problems is increased when milk and/or dairy products are consumed on a regular basis. One of the most common skin problems is acne, which affects approximately 85% of adolescents in the United Kingdom. Although the incidence of acne in other countries may be lower, it is important to understand the association between acne and specific components of our daily diet, especially in terms of consumption of milk and other dairy products. 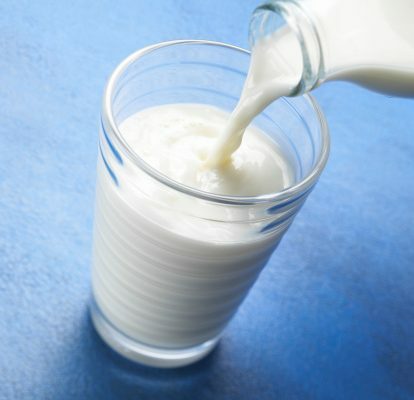 The first association study on skin problems and dairy products was published in the 1940’s, in which acne flares were reported after drinking milk. However, subsequent studies in the 1960s refuted this claim, indicating that there was no association between acne and dairy products. To further examine the relationship between skin problems and diets containing dairy products, the researchers of this recent medical report conducted a study involving approximately 44 patients positively diagnosed with acne vulgaris, or more commonly known as cystic acne. Cystic acne is generally characterized with scaly reddish skin, blackheads, and occasionally, pus. Acne not only affects the face of an individual but also the chest, back, and sometimes the upper regions of the arms. Although most of the cases of acne occur among teenagers, this skin disorder may also affect adults. The research study involved giving a questionnaire to the study participants that asked for information regarding the dietary patterns for two weeks. The questionnaire also collected information on the study participants’ family history. Measurements of body weight, as well as height and percentage of body fat were also conducted on the study participants. The results of the study showed that a higher frequency of drinking milk and consuming dairy products such as ice cream was associated with a higher incidence of skin problems. Interestingly, the results of the study also showed that females tend to consume more dairy products and milk compared to males. The study also showed that regardless of body weight, height, and body fat percentage, the occurrence of acne is mainly influenced by the consumption of dairy products. If a 103 Year Old Can Become Stronger, Smarter and Feel Younger, Why Can’t You? The results of the study were interesting because it provides another avenue in establishing specific causes of acne among specific groups of individuals in society. Although the study employed a small study population, it somehow associates consumption of dairy products with the development of skin acne. The length of monitoring of the study participants was also short (2 weeks) and thus future studies should look into this food-acne association using a longer study period. Nevertheless, the information provided by this recent medical report allows us to understand that there are certain specific factors within the diet that may trigger the development of skin disorders and thus we have to be more careful with our food choices.